I haven’t been as excited about anything for a long time as I am about a global revolution that began last week in Amsterdam! Cities are rapidly becoming the very visible and innovative laboratories for IoT innovation, which is logical, because they’ve been in the forefront of open data — as I saw first-hand when I was consulting for Vivek Kundra when he opened up vast amounts of real-time data as CTO for the District of Columbia as part of its Apps for Democracy initiative in 2008 that was part of the larger democratizing data movement. Now there’s an exciting new development in Amsterdam, that really is bringing power to the people: The Things Network, the first crowdsourced free citywide IoT district. Astonishingly, volunteers brought the whole system to launch in only four weeks! How cool is that? It also illustrates what I think is one of the key intangibles about the IoT: when you empower everyone (and I mean that literally!) by opening up data, people will find more and more innovative IoT devices and services, stimulated by their own particular needs, desires — and sometimes, even pain (that’s why I think even the most optimistic views of the IoT’s impact will be dwarfed as it becomes ubiquitous!). Even more exciting, the group’s goal is to bring the technology to every city in the world! That, my friends, will be an incredible global game-changer. Think of it: EVERY city will become an open laboratory for change. 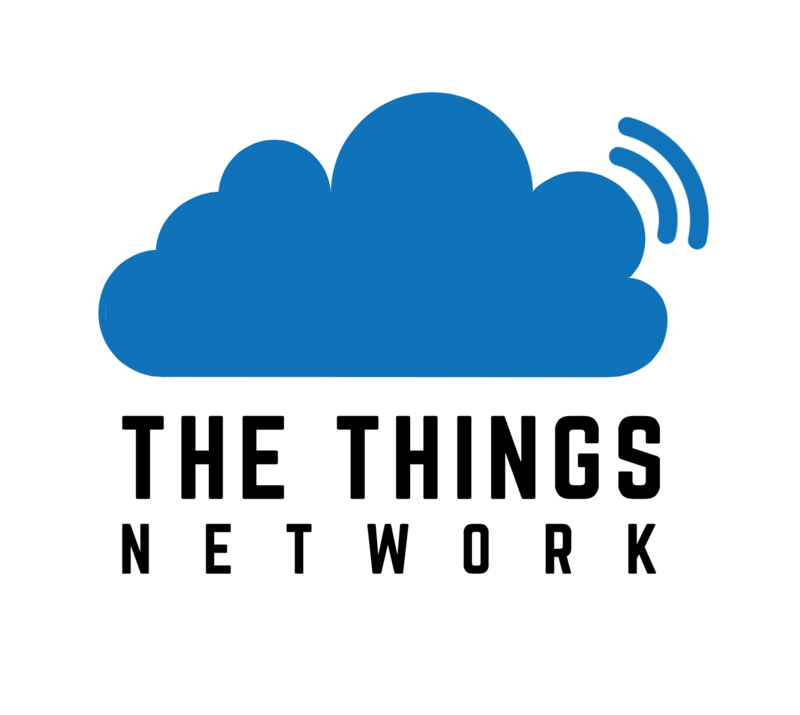 “Dutch entrepreneur Wienke Giezeman came up with the idea for the Things Network just six weeks ago when he came across a €1,000 ($1,100) LoRaWAN gateway device and realized that with 10 such devices, the whole of Amsterdam could be covered. He pitched his idea at an Internet of Things meetup in the city and received a positive response. How’s this for a vision? Giezeman wants to cut the cost before launching his plan of making the concept worldwide. He will soon launch a Kickstarter campaign to fund production of a smaller, €200 ($220) LoRaWan (vs. the $1,200 current ones). He may offer consulting services to capitalize on the idea, but that’s not the current priority. That kind of openness and lack of strings attached, IMHO, is going to really lead to incredible innovation! We’re holding a Boston IoT MeetUp hackathon next month to try to bring similar innovation to The Hub, and wouldn’t it be wonderful if cities everywhere launched a virtuous competition to speed smart cities’ adoption (and, don’t forget: this has huge implications for companies as well: there’s nothing to stop smart companies from creating new products and services to capitalize on the shared data!). I note Amsterdam is 84 square miles, and The Hub of the Universe is 89 sq. miles, so I suspect the costs would be similar here. I’m throwing down the gauntlet: let’s make Boston the second IoT city! Let a thousand neighborhoods bloom! I’ve been writing about what I call the Internet of Things’ “Essential Truths” for three years now, and decided the time was long overview to codify them and present them in a single post to make them easy to refer to. First, we must share data. Tesla leads the way with its patent sharing. In the past, proprietary knowledge led to wealth: your win was my loss. Now, we must automatically ask “who else can use this information?” and, even in the case of competitors, “can we mutually profit from sharing this information?” Closed systems and proprietary standards are the biggest obstacle to the IoT. Second, we must use the Internet of Things to empower workers. With the IoT, it is technically possible for everyone who could do their job better because of access to real-time information to share it instantly, so management must begin with a new premise: information should be shared with the entire workforce. Limiting access must be justified. Third, we must close the loop. We must redesign our data management processes to capitalize on new information, creating continuous feedback loops. Fourth, we must rethink products’ roles. Rolls-Royce jet engines feed back a constant stream of real-time data on their operations. Real-time field data lets companies have a sustained dialogue with products and their customers, increasingly allowing them to market products as services, with benefits including new revenue streams. Fifth, we must develop new skills to listen to products and understand their signals. IBM scientists and medical experts jointly analyzed data from sick preemies’ bassinettes & realized they could diagnose infections a day before there was any visible sign. It’s not enough to have vast data streams: we need to understand them. Sixth, we must democratize innovation. The wildly-popular IFTTT web site allows anyone to create new “recipes” to exploit unforeseen aspects of IoT products – and doesn’t require any tech skills to use. By sharing IoT data, we empower everyone who has access to develop new ways to capitalize on that data, speading the IoT’s development. Seventh, and perhaps most important, we must take privacy and security seriously. What responsible parent would put an IoT baby monitor in their baby’s room after the highly-publicized incident when a hacker exploited the manufacturer’s disregard for privacy and spewed a string of obscenities at the baby? Unless everyone in the field takes privacy and security seriously, the public may lose faith in the IoT. 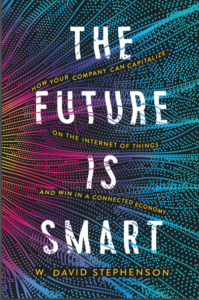 There you have ’em: my best analysis of how the Internet of Things will require a revolution not just in technology, but also management strategy and practices. What do you think? It’s hard to describe to someone who hasn’t encountered the phenomenon first hand, but there’s something really exciting (and perhaps transformative) when data is shared rather than hoarded. When data becomes the focus of discussions, different perspectives reveal different aspects of the data that even the brightest person couldn’t discover working in isolation. That transformative aspect is very exciting when it involves health care. I’ve written before about the life-saving discoveries when doctors and data scientists from Toronto’s Hospital for Sick Children and IBM collaboratively analyzed data from newborns in the NICU and discovered early signs of infections that allowed them to begin treatment a day before there was any outward manifestation of the infection. Now, the always-informative SAP Innovation blog (I don’t just say that because they’re kind enough to reprint many of my posts: I find it an eclectic and consistently informative source of information on all things dealing with innovation!) has an interesting piece about how Dartmouth Hitchcock is sharing real-time data with patients considering knee-replacement surgery. In some cases, that data leads patients to decide — sigh of relief — their condition doesn’t warrant surgery at this point, while it confirms the need for others. In both cases, there’s a subtle but important shift in the doctor-patient relationship that’s at the heart of my proposed “Smart Aging” paradigm shift: away from the omnipotent doctor telling the patient what’s needed and instead empowering the patient to be an active partner in his or her care. For the first time, the patient’s choice really becomes informed consent. The bad thing about the Internet of Things is that it will give us unprecedented amounts of real-time data: how can we possibly process it, let alone reduce it to manageable, intelligible (remember the “Wisdom Pyramid?” — just accumulating data isn’t the goal: it’s turning it into actionable wisdom) information? Now IBM has introduced a critical tool to help deal with that volume of data: the MessageSight appliance. It uses another important new breakthrough, the Message Queuing Telemetry Transport (MQTT), the proposed lightweight open standard for M2M communication (more about that in a future post). MessageSight is designed specifically to handle the explosion in mobile computing devices. It can support one million concurrent sensors or smart devices and can scale up to thirteen million messages per second. Wow! Among its features, MobileFirst now offers geo-location services: “geo-location triggers can be used to extend applications to take contextual action based on a user’s location to provide personalized service.” It also offers cloud services for mobile. I’ve long believed that IBM is THE leader in the Internet of Things, particularly given the tangible results its Smarter Cities programs have achieved (BTW, regarding my post yesterday about government getting up-to-speed on the IoT, the Obama Administration would do well to look at Smarter Cities as an operating manual…). MessageSight should cement that lead in the technology field!